2018 Einstein Public Lecture of the American Mathematical Society "Imagination and Knowledge"
This is the first of my four lectures, aimed at the beginners, that were filmed at MSRI, Berkeley in September 2015 by the crew of the Japanese TV channel NHK. These lectures were broadcast in Japan in the "Luminous Classroom" series. 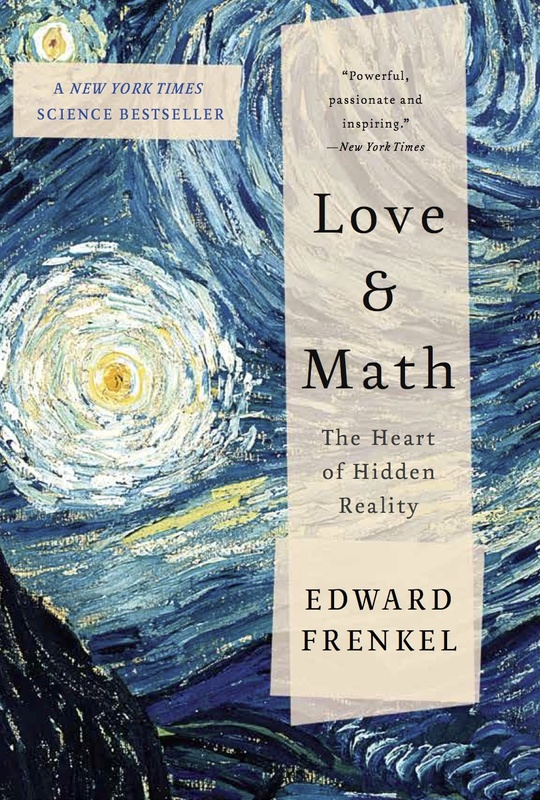 My book Love and Math was a New York Times bestseller and won the 2015 Euler Book Prize from the Mathematical Association of America. It has been published in 18 languages. focuses on various aspects of Symmetry in Mathematics and Physics. Recently, I have been exploring fascinating links between the Langlands Program and dualities in Quantum Physics. 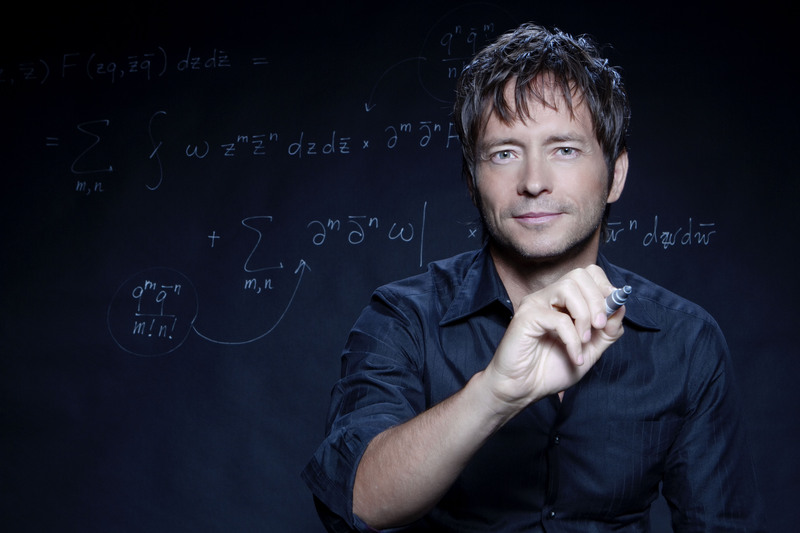 Here are the videos of my lectures "An overview of the geometric Langlands Program" (at the Fields Medal Symposium, Toronto, 2012) and "What Do Fermat's Last Theorem and Electro-magnetic Duality Have in Common?" (at KITP, Santa Barbara, 2011) in which these topics are reviewed. And here is a video summary of my Seminaire Bourbaki on this subject. I spent the Spring semester of 2012 at Columbia University as the Samuel Eilenberg Visiting Professor, giving a series of lectures The Langlands Program and Quantum Field Theory. Videos of these lectures are available here. has been published by Cambridge University Press in June 2007. Fully hyperlinked electronic version of the book is available here. (joint with David Ben-Zvi ) Second Edition was published by the American Mathematical Society in August of 2004. Research Project "Geometric Langlands Program"
In 2003-2013 I was involved in running a Research Project dedicated to the investigation of the geometric Langlands Program, its relationship to other areas of mathematics, and its relationship to physics. It was funded by DARPA through its "Focus Areas in Theoretical Mathematics" Program. I was co-managing this project together with Kari Vilonen of Northwestern University. This site contains links to some of our past activities, such as the workshops that we have organized, and various resources on the Langlands Program. As part of this project, I co-organized a Mini-Program "Gauge Theory and Langlands Duality" and a Conference "Dualities in Physics and Mathematics" at the Kavli Institute for Theoretical Physics (KITP) in Santa Barbara in 2008 and 2009. The talks are available online here and here. The next conference in this series was "Langlands-Type Dualities in Quantum Field Theory", held at KITP in August 2010. Here is the video of my opening lecture. All talks are available here. The most recent Program at KITP, "Nonperturbative Effects and Dualities in QFT and Integrable Systems", ran from July 5 to August 26, 2011. My Seminaire Bourbaki talk on Gauge Theory and Langlands duality. Langlands Program and Physics - Lecture Notes on the Langlands duality and Conformal Quantum Field Theory. Review of the Langlands Program that I wrote for the Bulletin of the American Mathematical Society . Text of my lecture on the occasion of receiving the 2002 Hermann Weyl Prize . My Seminaire Bourbaki talk on vertex algebras. Gerard Laumon's talk at Seminaire Bourbaki about my joint work with D. Gaitsgory and K. Vilonen on the proof of the geometric Langlands conjecture. Is there an analytic theory of automorphic functions for complex algebraic curves?